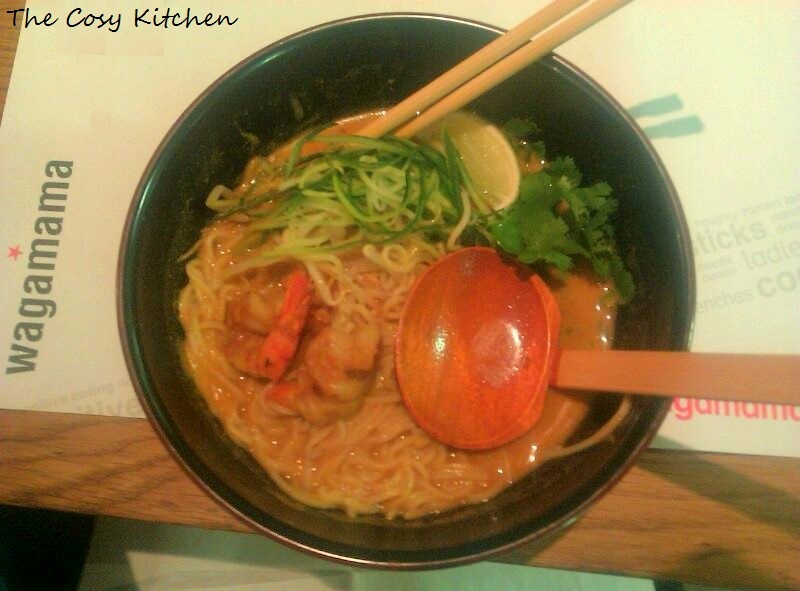 My husband and I often go to Wagamama, they’re easy to find, the food is great and extremely affordable. These are a few of our favourite things that we order most often when go there to eat. Of course a trip to Wagamama does not get started until we order our chilli squid! We had noticed on a recent trip there that they had changed the chili squid slightly, now it is packed full of flavour and crunch! We always order a few sides but this one never changes! 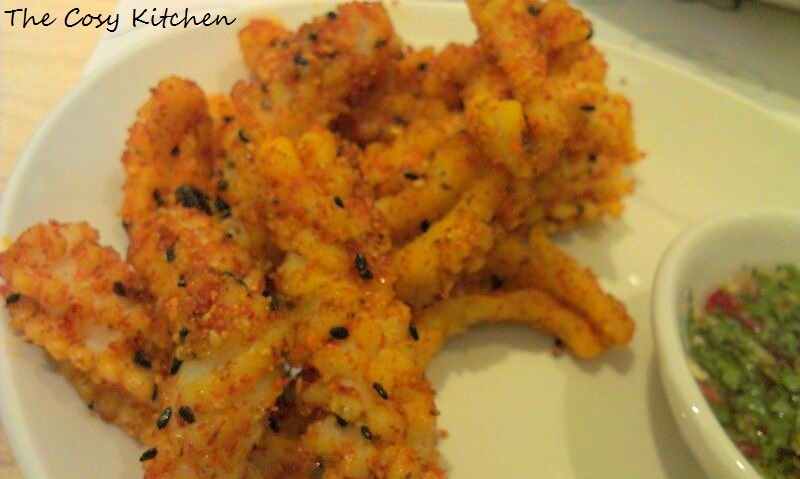 Chilli Squid: deep-fried squid seasoned with sea salt and shichimi, served with a chilli garlic and coriander dipping sauce. Prawn Itame: rice noodles in a spicy green coconut and lemongrass soup topped with stir-fried prawns, beansprouts, chillies, red and spring onions, bok choi, peppers and mushrooms. garnished with coriander and lime. 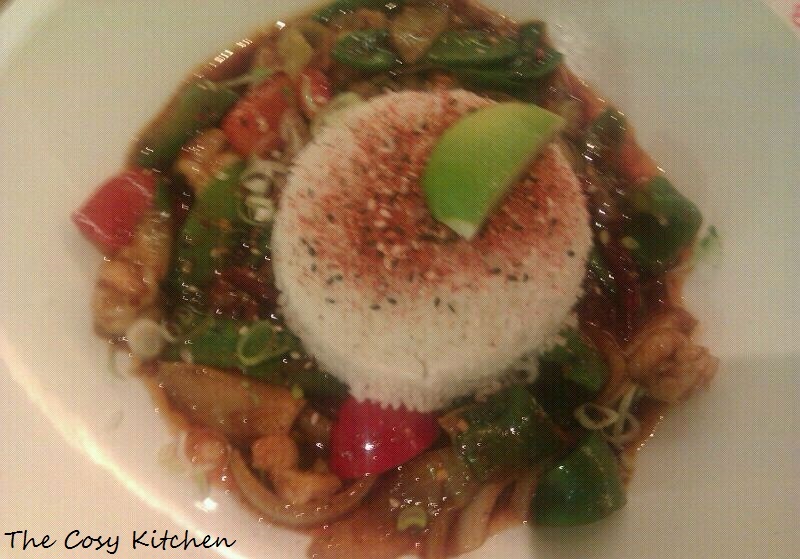 Firecracker Prawns: prawns stir-fried with mangetout, red hot chillies, red and green peppers, spring and white onions in a fiery sweet and hot sauce, served with steamed white rice and garnished with shichimi, sesame seeds and lime. 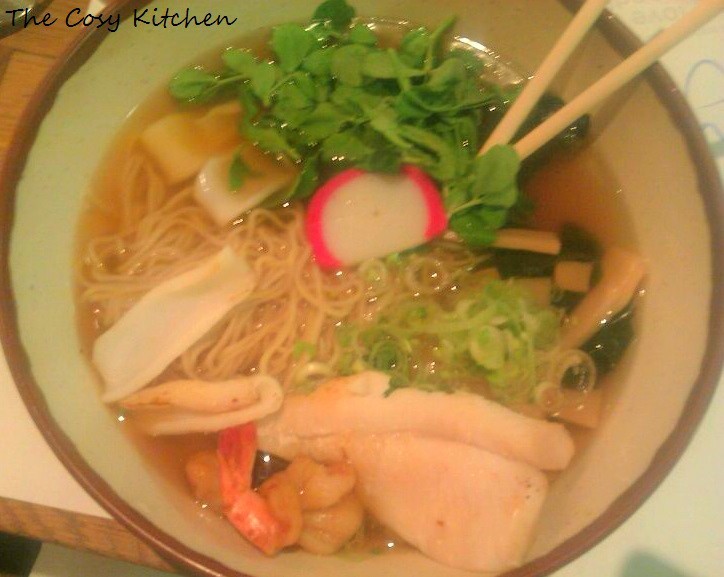 Grilled Fish Ramen: noodles in vegetable stock topped with grilled dory, prawns, mussels, clams, chikuwa and hijiki, garnished with spring onions and coriander. 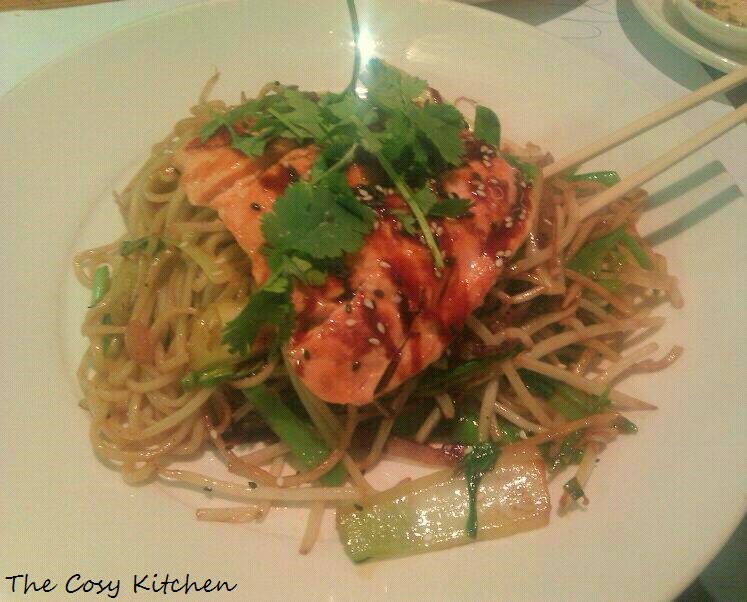 Teriyaki Salmon Soba: grilled teriyaki salmon on a bed of teppan fried soba noodles with curry oil, mangetout, red chillies, red and spring onions, beansprouts and bok choi, with teriyaki sauce, coriander and sesame seeds. The atmosphere is lovely, though it better to go either before or after the lunch and dinner rush hour as it gets pretty busy and you end up waiting outside in a queue to get in! Thank you! Make sure you do! One of the many things I miss about London. I wish there was a Wagamama in New York. I have been googling like mad for about 18 months trying to find a recipe to firecracker prawns. Please tell me you have attempted to recreate it and it turned out okay and you’re more than willing to share! Ah, I am ashamed to say I have not tried to recreate it! It’s my all time favourite dish! Have you had a look at the recent Wagamama cook books? I’m assuming because the dish is fairly new at the moment it will take some time for the recipe to be released…?